Our good friends at Opta have compiled all the numbers and stats you need to assess the teams’ chances ahead of today’s Afcon Group D clash at Stade de Port-Gentil. – This is Ghana’s 21st AFCON participation, a tally only bettered by Egypt (23) and Ivory Coast (22). – Only Egypt (7) have won the AFCON more times than Ghana (4). However, their last title dates back to 1982; they have lost their last three finals (1992, 2010, 2015). – Ghana are the only team to have reached the semi-finals in each of the last five AFCON tournaments. – Meanwhile, this is Mali’s 10th AFCON participation. Their best performance came in 1972 when they lost 3-2 in the final against Congo. – The record between Ghana and Mali in the AFCON is perfectly balanced, with two wins each. In fact, their four fixtures in the competition have come over the last three editions (2 in 2012, 2 in 2013). 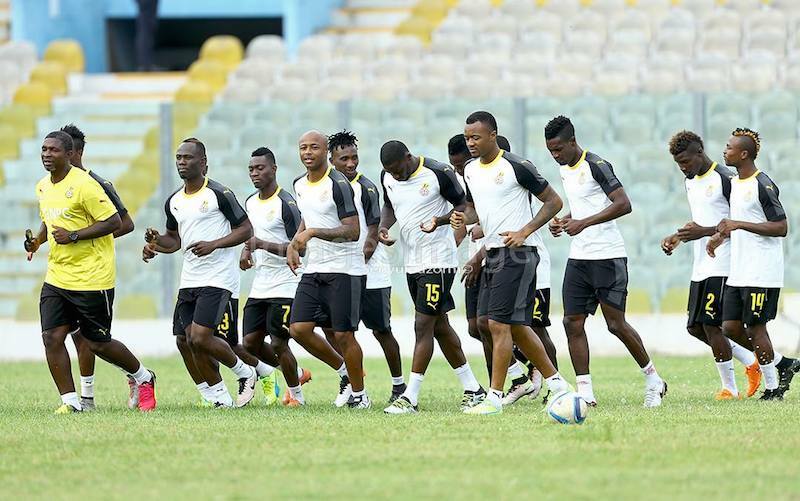 – Ghana have won eight of their last 11 AFCON group games (D2 L1). They have also scored in each of their last 17 group games. – Ghana have also kept a clean sheet in each of their last four AFCON games. A fifth one would equal their longest ever run in the competition (1978-1980). – Six of Mali’s last eight AFCON games have ended in a draw (W1 L1); including their last five group games. – Nine of Mali’s 10 starting outfield players had a shot in their opening game against Egypt, Sambou Yatabaré being the only exception. – André Ayew has scored seven goals in the AFCON since 2010, the joint-highest tally over that period alongside Mali’s Seydou Keita (not in this year’s squad). In fact, he’s already the joint-top scorer for Ghana in the competition alongside Asamoah Gyan and Osei Kofi. – This is Avram Grant‘s second AFCON as manager after leading Ghana to the final in 2015 (lost on penalties against Ivory Coast). – Meanwhile, this is Alain Giresse’s fourth AFCON as manager. The Mali boss was already in charge of the Eagles in 2012 when he took them to third place.